Find the perfect Oh Baby shirt, jacket or onesie. Our gear makes great gifts for yourself, family or friends! 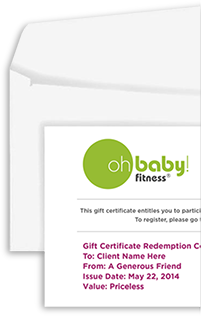 Give the gift of fitness! 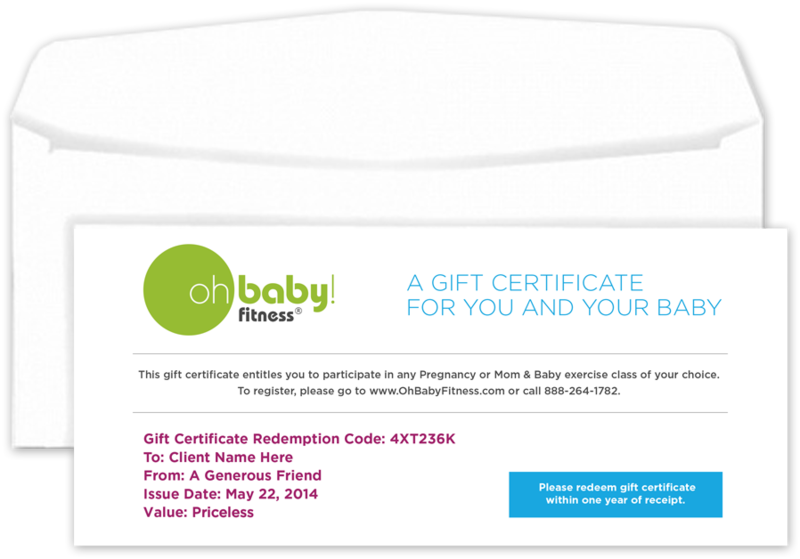 It's the perfect gift for a birthday, holiday or baby shower. We offer the widest variety of pregnancy and mom & baby exercise classes in the USA. Get fit, bond with your baby, and make new friends! Oh Baby! Fitness has created three specialized pregnancy and postnatal exercise apps that are being downloaded all over the world!